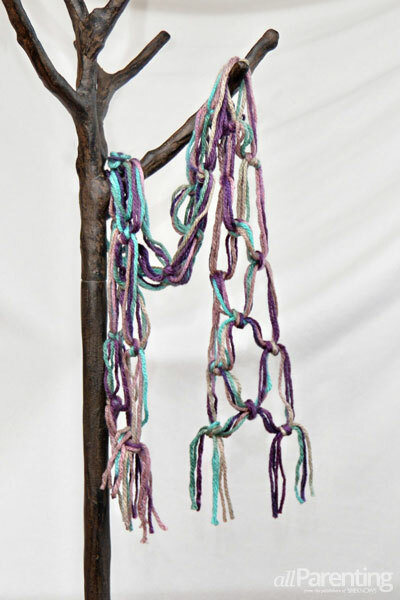 Toss the knitting needles and crochet hooks — this amazing scarf is made just by tying knots! It makes a perfect Christmas gift, but it's so cozy you will want to keep one for yourself! Scarf-making is not limited to those who know how to knit and crochet. 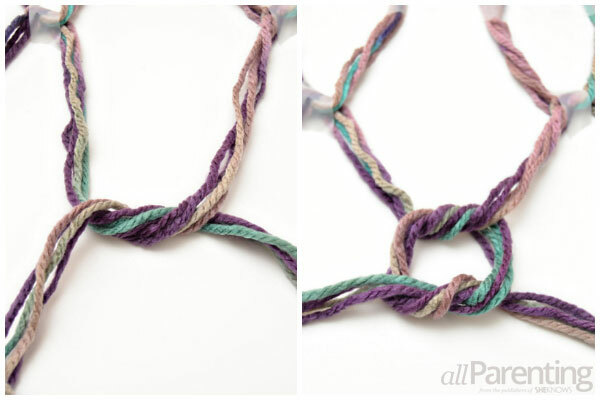 Even novice crafters will have no trouble putting together this easy scarf — all you need to do is tie a knot! 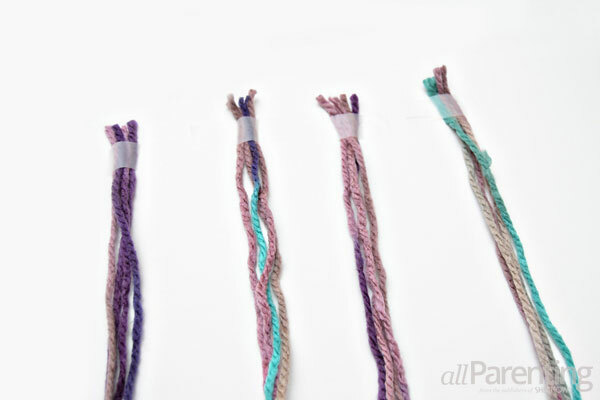 Cut out 16 strands of yarn that are 50 percent longer than your desired scarf length. For example, a 5-foot scarf would need to be made out of 7.5-foot lengths of yarn. Divide the 16 strands into bundles of 4, and then tape each bundle to your work surface. Tie the 2 left strands together and the 2 right strands together in a square knot. To tie a square knot, first tie the right strand over the left strand. 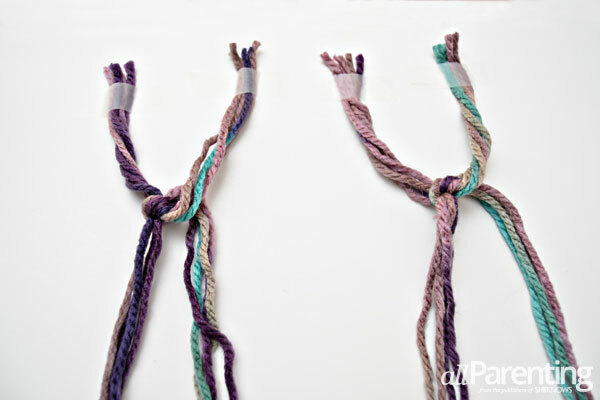 Then, tie the left strand over the right strand, and pull the knot tight. 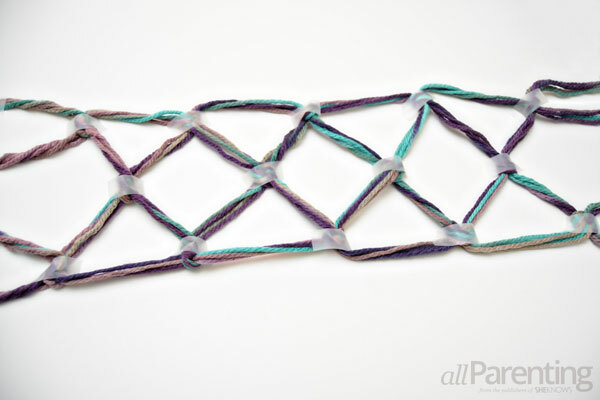 After you have tied the first 2 outer knots, tie the 2 inner strands together to form a knot in the center. 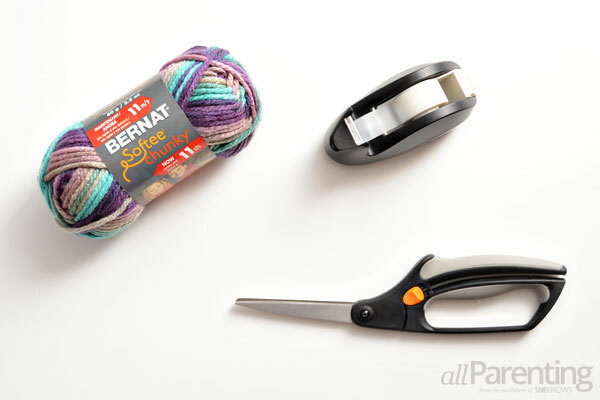 As you work, tape the knots to your work surface so that the scarf does not shift around as you tie it. Keep making the scarf by alternating inside knots and outside knots, until you reach the end of the scarf. Note^ Be sure to end the scarf with two outside knots.